If you had the Espruino Web IDE, clicking the last link would have automatically loaded some code into Espruino. Please click on the image above to install the Web IDE. 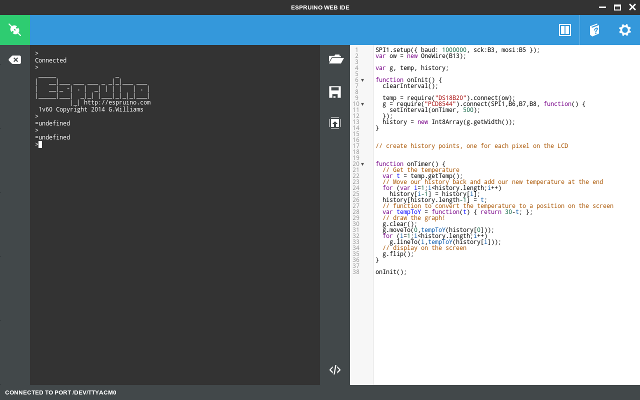 After that, the next time you click on the Espruino icon in a section of code, it will be loaded into the IDE.